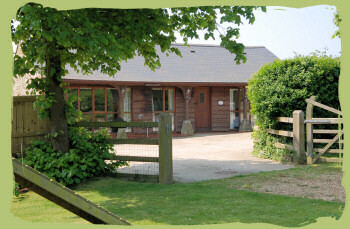 The Cart House is a two bedroom barn conversion set on a working mixed farm on the edge of Shorwell, Isle of Wight. Shorwell, which is in easy walking distance of the self catering accommodation, is a delightfully unspoilt village with the church and pub at its centre. Quiet sandy beaches are less than three miles away. The Cart House has been tastefully furnished and provides a spacious living/dining room with a vaulted, beamed ceiling. The property is all ground floor with one twin bedroom and one double. Guests have access to their own enclosed garden with garden furniture. The property has oil fired central heating throughout. Power, fuel and bed linen are all inclusive and we can now offer a wi-fi broadband connection. We regret we are unable to allow pets.